Some comments speak for themselves. “ would LOVE to know about alumni access to University resources (especially library databases),” says a 2008 alumna. Those comments are from among more than 1,500 people who responded to a survey of UVA alumni conducted last year. The results reflect some broad themes—strong positive feelings about UVA—as well as some specific recommendations—improving online access to resources and providing more opportunities to stay involved with current and prospective students. 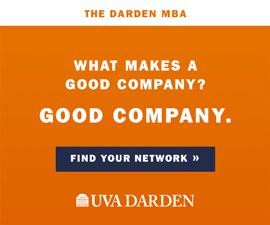 “The key take-away from this survey is that alumni continue to feel very positively about the University,” says C. Thomas Faulders III, president and CEO of the UVA Alumni Association, which conducted the study. One goal of the effort was to compare alumni attitudes with those expressed in a similar survey conducted in 2006. Another was to look at UVA’s peer institutions, so the 2009 effort results were measured against 12 other schools, including Carnegie Mellon, the University of Michigan and Wake Forest. Alumni continue to identify more with the University in general and less with a specific school or organization. Alumni very much want to stay involved with the University, markedly more than in the 2006 survey. Alumni rated the University more favorably in serving their needs and interests than three years ago. While there were several measures that stayed virtually the same, the University scored higher than all its peers in two areas. One was the number of alumni who feel strongly that the University values them (89 percent). Faulders credited the Office of Engagement, the revitalization of UVaClubs, and the Alumni Association’s enhanced Reunions, online communications and other efforts. Alumni also felt strongly inclined to promote the University. “UVA’s ratings are among the highest [among peers] at serving the needs and interests of alumni overall ... and at providing ways to socialize or network, job and career services, ways to volunteer, and ways to get involved with current or prospective students,” the report says. The survey also looked at gaps between what alumni want and what the University is providing. The largest was online access to University databases and other resources. Although the library’s databases are available only to students and faculty (because of contract restrictions), the University and the Library offer extensive online resources that alumni can access, such as photo archives and e-texts. Links to those resources, along with a compendium of educational and research links from around the University, can now be found on a new Web portal for alumni—virginia.edu/alumnieducation. The survey also found that alumni would like more opportunities to be involved with current and prospective students, particularly regarding career advice and admissions. “These are areas that are being addressed through the UCAN and HoosOnline programs for career assistance and the Virginia Alumni Admissions Network (VAAN) effort out of the joint efforts of the Admission Office, the Office of Engagement and the Alumni Association,” Faulders says, adding that increasing awareness of these programs is one way to facilitate participation. While the 2006 survey was done by telephone, the 2009 effort was conducted online via e-mail. Solicitations were sent to 6,083 randomly selected alumni; 25 percent participated. Faulders says subsequent surveys are planned to continue gauging alumni desires and perceptions about the University. Alumni Association: for all alumni and members of the University community. University Career Assistance Network (UCAN): a career networking tool to help alumni connect with one another. Through HoosOnline. HoosOnline: online resource (networking, databases, career services) for alumni. Virginia Alumni Admission Network (VAAN): a collaborative effort through which alumni volunteers reach out to prospective students. Admission Liaison Program: provides a point of contact and a source of information for alumni families who have a child applying as a first-year or transfer applicant. Office of Engagement: fosters connections among alumni, families and friends through a variety of events and programs. 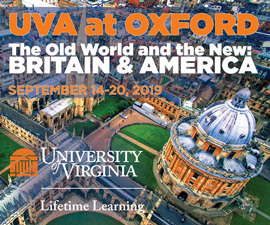 UVaClubs: groups around the world that provide ways for alumni, friends and families to stay engaged with the University. Alumni Interest Groups: connects alumni with mutual ties and interests. Virginia Magazine: University-wide publication (print and electronic) distributed to members of the UVA community. 88% alumni who say they get news and information about the University from magazines or other printed material from UVA. View the full survey results here [pdf]. View analysis of the survey [Microsoft Word].